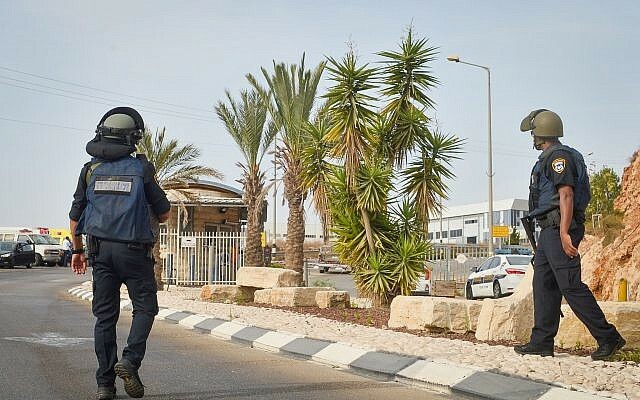 Two people were killed and a third was moderately wounded in the attack at the Barkan Industrial Park in the northern West Bank, which the Israel Defense Forces said was an act of terrorism. Palestinian Islamic Jihad also spoke highly of the attack, according to the PIJ-linked Palestine Today. 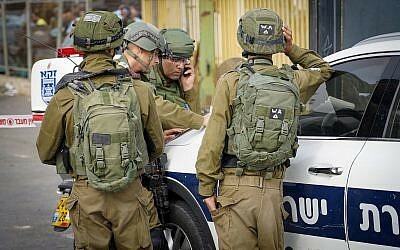 The suspected assailant was a Palestinian man in his early 20s from the village of Shuweika, near Tulkarem, according to defense sources. Security forces launched a manhunt for the shooter, who fled the scene after the attack. “The suspect arrived at the industrial park and shot three civilians. Large numbers of IDF and Shin Bet security service forces have launched a manhunt for the suspect, whose identity is known to security forces. In addition, large numbers of troops have spread out throughout the area to conduct searches and checks,” the army said. He had worked at the Alon Group factory — which manufactures waste management systems — where he committed the attack, had a legal work permit, and was acquainted with his victims, according to spokesperson Lt. Col. Jonathan Conricus. He had been missing from work in the days before the shooting, but was still employed by the factory, according to the spokesperson, who refuted earlier media reports that he had been fired. Security camera video from the scene appeared to show the shooter fleeing after the attack, with an improvised “Carlo” submachine gun in hand. The businesses in the Barkan Industrial Park, located near the settlement-city of Ariel, employ some 8,000 people, approximately half of them Israelis and the other half Palestinians.